Perhaps it's the way I was feeling, but did anyone else think Episode 4 should have come with a warning? Something like: Not for the sad, depressed or melancholy—this episode will break your heart. Matthew and WIlliam came back from the war, with Mary caring for the wounded Matthew and Daisy marrying William in a poignant bedside ceremony. And of course the Dowager Countess did not disappoint with one of the best lines of the series so far, "Dr. Clarkson, I am no Jacobean revolutionary, nor do I seek to overthrow the civilized world. We just need one bed for a young man from this village." P.S. No doubt you've heard the latest DA news. Here's a preview of tonight's episode. 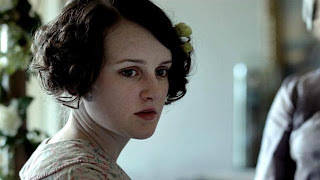 Watch Downton Abbey Season 2 Episode 5 Preview on PBS. See more from Masterpiece.